The Internal Committee of the Red Cross (ICRC) has launched a new ad campaign to ask people for help in their effort of reuniting families torn apart by conflict. The 90-second spot, created by adam&eveDDB London and titled “Every parent’s worst nightmare”, begins with CCTV footage (which is actually a reenactment) of parents in various public places realizing their kids have disappeared. Panick, despair, fear, tears, suffering – are all captured by camera and followed by an invitation for viewers to imagine how parents who lose their children for years feel. “If losing a child for just a few minutes feels like this… Imagine losing them for years.” – onscreen lines read. 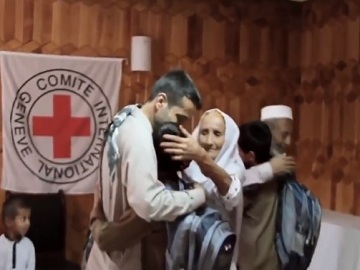 The film continues with real scenes of families brought back together after years of separation due to conflict, violence or natural disaster, highlighting that ICRC reunites, every day, three families torn apart by conflict and natural disaster, and ends with the onscreen line “Help us help more”.